New video of murder suspect Dariaz Higgins shows an encounter with police in Michigan while on the run from Milwaukee officers. The video helps paint a clearer picture of what happened during the AMBER Alert for Higgins and two-year-old Noelani Robinson, as well as the homicide of Sierra Robinson. Higgins is charged with that murder, and Deloise Lipsey is charged with helping Higgins elude police for days. New video of murder suspect Dariaz Higgins shows an encounter with police in Michigan while on the run from Milwaukee officers. The video helps paint a clearer picture of what happened during the AMBER Alert for Higgins and two-year-old Noelani Robinson, as well as the homicide of Sierra Robinson . Higgins is charged with that murder, and Deloise Lipsey is charged with helping Higgins elude police for days. Higgins and Lipsey bounced from hotel to hotel after meeting up on Saturday, March 9. That includes a night in Austin, Minnesota , where Noelani's body was found. 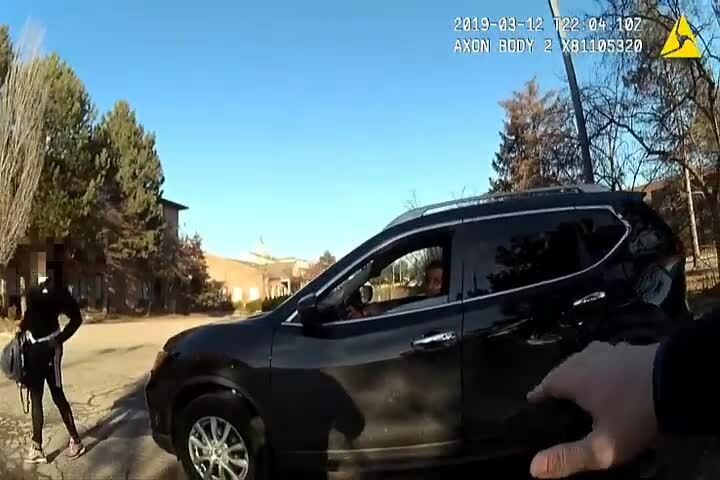 The dashcam video was recorded outside a hotel by an officer in Livonia, Michigan, just one day before Higgins was arrested in Milwaukee. Livonia police say the officer observed Higgins and Lipsey parked outside the hotel and approached them to check for suspicious activity. Lipsey immediately got out of the car. Higgins stayed in the car and appeared nervous, according to the officer's account. A short time later, Higgins sped off, leaving Lipsey and the officer in the parking lot. Police later recovered a sawed-off, semi-automatic rifle a short distance away. It wasn't until the next day that the officer realized Higgins matched the description from the Milwaukee AMBER Alert. "[Higgins] saw the Livonia officer and was going to shoot and kill him," Police Chief Curtis Caid said. "The suspect had nothing to lose. He had already shot and killed one person. Shot and critically wounded another, and tragically, we now know that the missing two year old was also killed, dying of blunt force head trauma." "This incident is one demonstration of how our officers never know who/what they may encounter...Our sympathies to the families that suffered the loss in Milwaukee. Please keep our officers in your thoughts and prayers."